I brought my 1992 Kawasaki KDX200 out of mothballs last night. With a fresh spark plug, fresh gearbox oil, a coolant flush, and some fresh 93 octane pre-mix, the Kawi was good to go on the 3rd kick after not being started since I moved from Ohio one year ago. I love this bike. 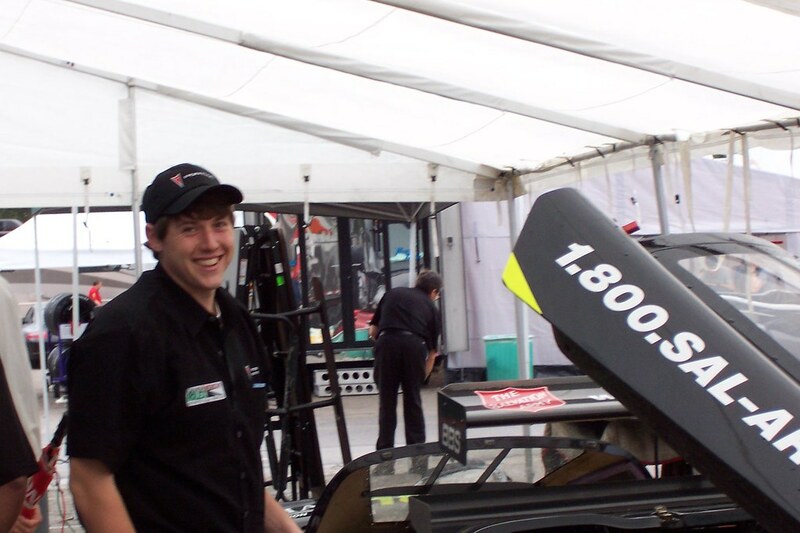 The 2010 Bondurant Driver Search ended last week and I had a blast participating in the school's first competition of this kind. I've been back home for about a week so sorry for the late post. Its been hectic catching up on work and boring non-racing stuff around the house that I've been ignoring for two months. Anyway back to the shootout, I did not finish in the Top 3 so I did not bring any hardware back to Texas. Looking at the lap time results, I was 2nd fastest overall in the Corvettes on Day 1, but only 6th quickest in the Formula Mazdas on Day 2. I was about 1 second off the pace in the Mazdas and that ended my chances at winning. Despite this, it was a VERY positive experience and I learned a lot about how to develop my skills on and off the track to achieve my goal of racing professionally. I received excellent feedback on my driving from the Bondurant instructors and the shootout judges. Basically, I need to dig deep for the that extra couple percent, slide the car around more, carry more entry speed, and push hard for that last tenth in each corner. Thanks to Alan Rudolph, Bob Bondurant, the Bondurant staff, and all of the shootout judges (Jeremy Shaw, Lyn St. James, Larry Pond, Neil Alberico, and Darren Law) for providing a great opportunity and learning experience for young racers! 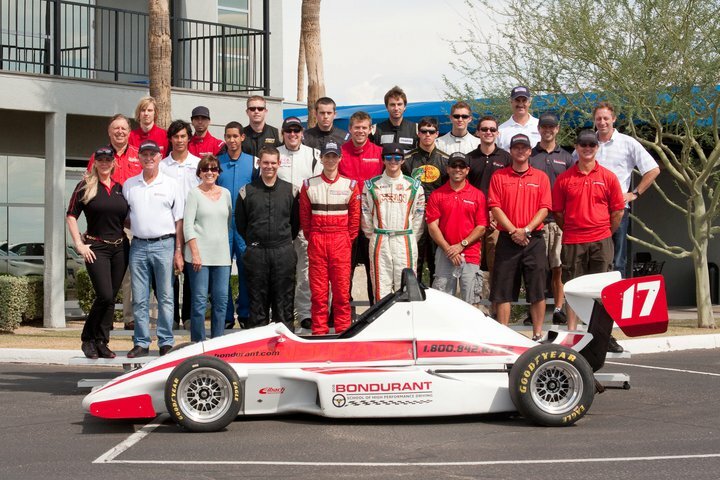 Day 1 of the 2010 Bondurant Driver Search Shootout is in the books. We had 4 sessions of Corvette driving evaluation and an interview with the panel of judges. I did well in the interview and scored big points on professionalism which should help me make the Top 5 tomorrow when they make cuts. I think I drove well enough in the Corvettes to put myself in contention, but tomorrow's driving sessions in the Formula Mazdas will be key. It looks like we will have rain storms tomorrow which will throw a curveball to the competition. 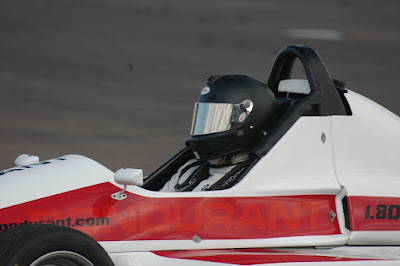 Bondurant Driver Search Shootout Starts Today! I am in Phoenix bright and early today for the 2010 Bondurant Driver Search Shootout. Today is the first part of the 2-day competition pitting 20 young drivers against each other to compete for a full-ride in the 2011 Bondurant Championship Race Series in the school's Formula Mazda racecars. Today we will have interviews, mock media interaction, and driving evaluations in C6 Corvettes and Skidcars. Wish me luck!